You know your Instant Pot multicooker can do it all--and now it can do it healthier. The Instant Pot is a digital multi-function cooker that can pressure cook, slow cook, sauté, steam, and even make yogurt. It cooks significantly faster than traditional cooking methods, and leaves food more flavorful and often more nutrient dense. With 100 healthy recipes for breakfast, entrées, sides, desserts, and more, you'll be cooking healthier and faster using this revolutionary device. Each recipe emphasizes using simple, everyday ingredients, and includes key nutrition information to help ensure you'll stick to your healthy eating plan. 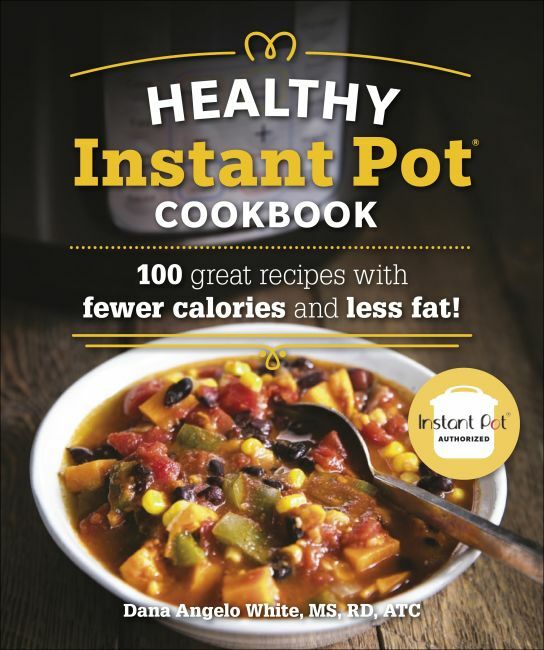 A more graphical approach to the recipes makes finding key information easier, and special sections include helpful tips and tricks for using your instant Pot, cleaning and maintaining your Instant Pot, and instructions for adjusting conventional recipes for the Instant Pot.